Stock # 19I045, Duramax 6.6L Turbo-Diesel V8 Engine, Automatic, 40127 mi. 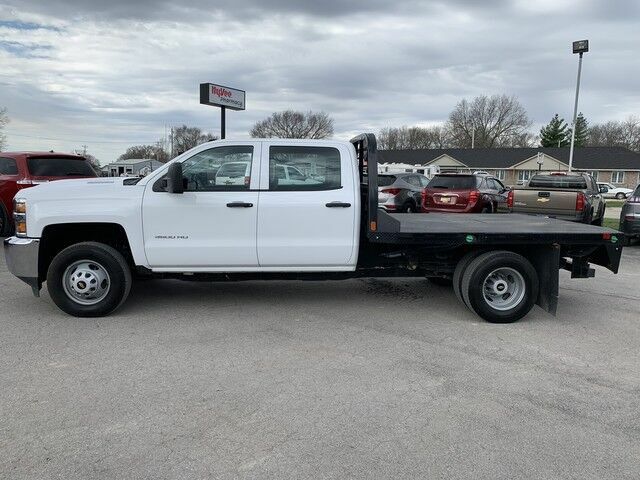 Barrett Auto Center is honored to present a wonderful example of pure vehicle design... this 2018 Chevrolet Silverado 3500HD Work Truck only has 40,127mi on it and could potentially be the vehicle of your dreams! This vehicle is loaded with great features, plus it comes with the CARFAX BuyBack Guarantee. This Chevrolet Silverado 3500HD Work Truck truck will fit all of your needs. Whether you're on the farm or in the city, it will get the job done. Sophistication & understated luxury comes standard on this Chevrolet Silverado 3500HD Work Truck. Well-known by many, the Silverado 3500HD has become a household name in the realm of quality and prestige. Simply put, this Four Wheel Drive is engineered with higher standards. Enjoy improved steering, superior acceleration, and increased stability and safety while driving this 4WD Chevrolet Silverado 3500HD Work Truck.